Are you pissed off with those so-called baby monitors that turn on and off on their own? Well, this happens because the unit and the camera have a very short communication range. So once you get out of that range, there is no more stable connection. It’s better to invest a little more to get something that has a good range and longer battery life. 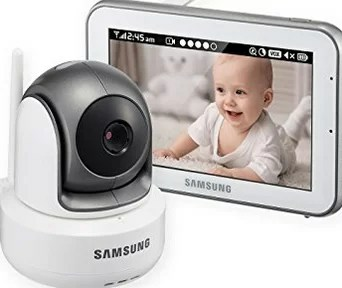 So in this quick review, I will tell you about the best long range baby monitor of 2018, the Samsung Bright View SEW-3043W. My mouth got full while typing the name of this product. But the just like its name this thing has a strong signal strength up to 900 foot. So quickly let me tell you some basic features of this device. Samsung Bright View SEW-3043W comes with the 720p quality monitor. 5-inches Touch Screen LCD from Samsung that looks more of a tablet. Pan and Tilt HD camera features the night mode with super awesome quality. The LCD panel can be charged unlike the panels from Angelcare and Motorola. Pan and Tilt camera is a pretty high-end stuff in the package. It can be controlled by the parent unit and needs external power to function properly. Again it’s a 2-way communication system so you can hear the baby screaming and talk back. 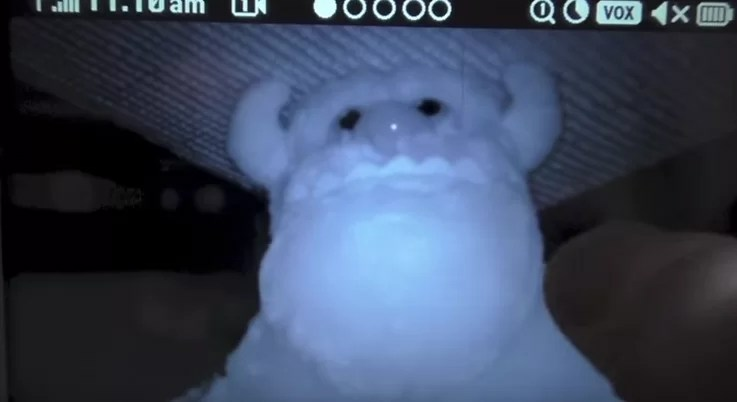 On the top of the camera rests the night light that can be used as a lamp in the baby room. A 2.4GHz Antenna with the camera provides full coverage from any corner of the room. Now here things get a little cool with the 5-inches of Touch Screen monitor from Samsung. It has a stand and belt clip at the back for additional support. It has a charging jack to power it up and a speaker at the back to hear and talk back. The picture quality is truly awesome and no other display like this can be found in the market. On the top of the screen, you get indications for signal strength, time, cameras, an audio indicator and battery life. You can connect up to 4 cameras with this monitor. It allows you pretty simple interface to get things done. You don’t need to tap on-screen buttons or side buttons to the pan and tilt the camera. All you need is just to slide your finger on the screen in the direction you want the camera to move. It’s just that simple. Also, you can zoom, turn the sound up or down with the on-screen buttons. You can also play 4 different lullabies to your baby. So I tested Samsung Bright View SEW-3043W in a dark room with a monster toy in absolutely zero lighting condition. 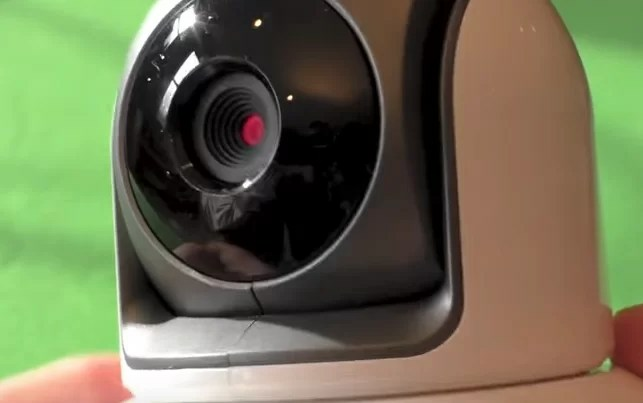 The camera unit performed pretty well and night vision quality was way better than other baby monitors in the market. Another great feature of this long-range baby monitor is that it does not depend on Wi-Fi to pair-up with the camera. You don’t need any Wi-Fi network or computer to pair-up things. Finally, if you are looking for a long range baby monitor then SEW-3043W is the best to buy out there. The quality is better than any other baby monitor I have seen so far. However, you can get baby monitors for a less price than compared to this. If you want to spend money for high quality and long range then this is the best I recommend.